Australian Traveller tracked down the best food and wine destinations in the country, from traditional favourites to up-and-coming foodie meccas, farmers’ markets and regional cooking schools. Bon appetit! It’s no real surprise that the best gourmet destinations are often found in wine regions. 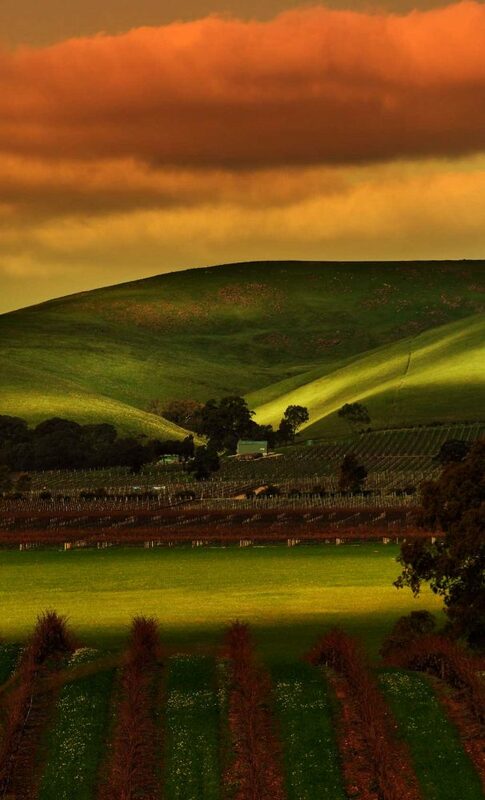 One of the best wine destinations in Australia is, without a doubt, the Barossa. Thanks to its Mediterranean climate and 170 years’ worth of European settlers exerting their influence over the grapes and cuisine on offer, you can’t help but get into the spirit of the good life, a philosophy that seems to be: relax, take it easy and, for heaven’s sake, don’t feel guilty about overindulging. 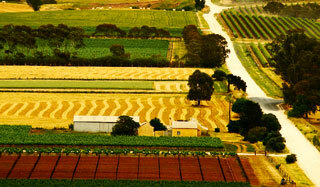 Summer fruit to be found in the Barossa include apricots, peaches and plums. Autumn brings out figs, nuts, apples and pears. Even winter is abundant with produce, as citrus fruits ripen. 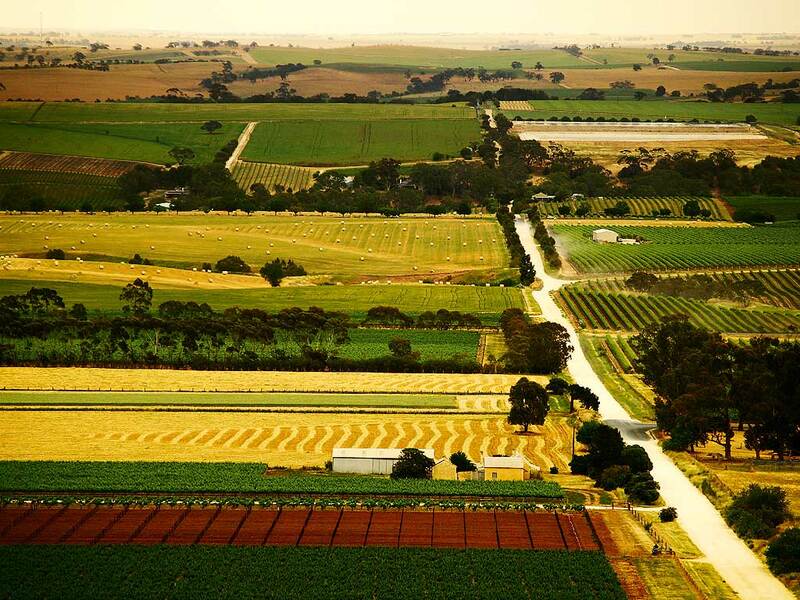 First-timers to the area can experience the best of the Barossa by taking the Butcher Baker Winemaker trail. Head to the Barossa or Gawler Visitor Information Centre and purchase a ticket for $65, which will get you discount vouchers to cellar doors and provedores, a hamper full of local produce and complimentary wine tours and tastings. Alternatively you can pick up the Butcher Baker Winemaker trail map for free. It features great lookouts and picnic spots as well as pinpointing the best food and wine outlets en route, including bakeries, fruit shops and, of course, vineyards. 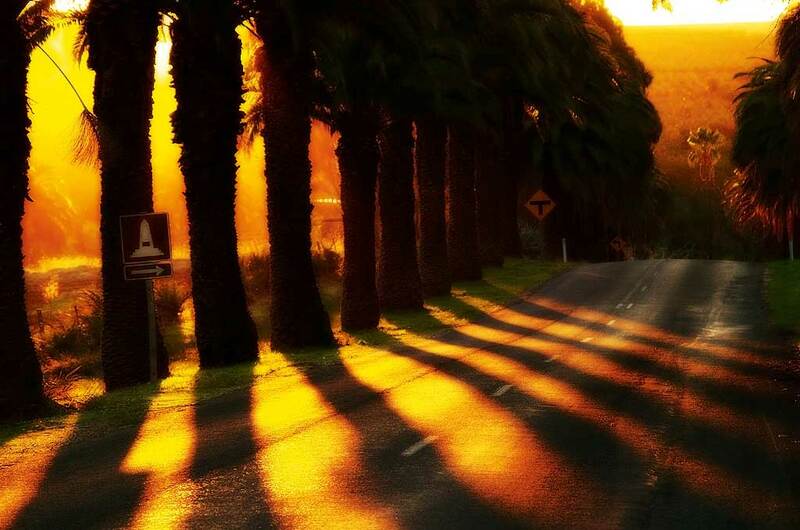 There is also a GPS version of the tour, which can be hired from Adelaide Airport and some Barossa hotels. 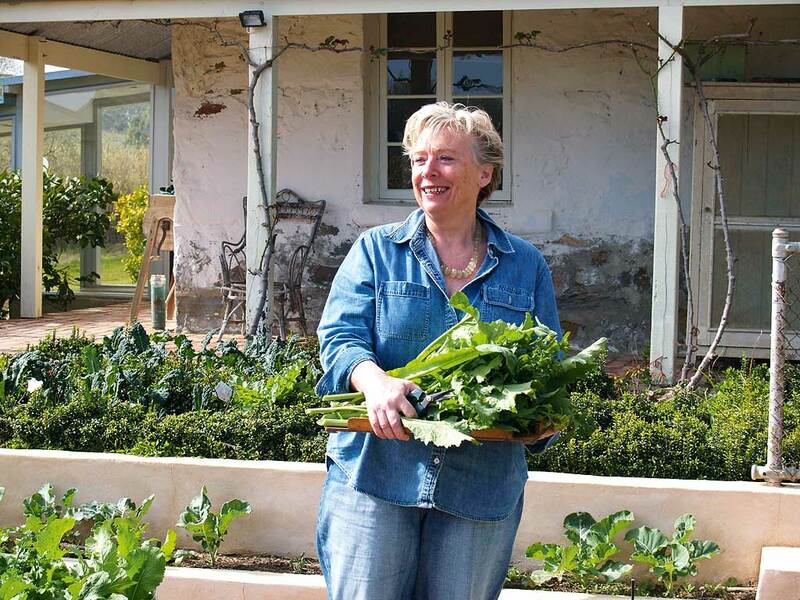 One place you must put on your itinerary is Maggie Beer’s Farm Shop (Pheasant Farm Rd), which sells the full range of her delicious seasonal produce as well as freshly cooked sweets and takeaway picnic hampers. Daily cooking demonstrations at 2pm, $15 per person. Barossa butchers are a real treat as they stock a host of German sausages. If you want to sample as many local foods as possible in one place head straight to the Barossa Farmers’ Market, held in the Vintners Sheds every Saturday from 7.30am to 11.30am (cnr Nuriootpa and Stockwell Rds, Angaston). For those who don’t mind blowing the budget on a great night out, Appellation is one of Australia’s hottest regional dining destinations and is located at luxury lodge The Louise (Seppeltsfield Rd, Marananga). Their ten-course Wine Flight tasting menu is a tastebud-driven tour around the Barossa. Known for its abundant wildlife and dramatic landscapes, KI is also a foodie’s dream – especially for fresh seafood such as crayfish, marron, abalone and oysters. KI honey is some of the best in the world, produced from pure Ligurian bees. Make a trip to Dudley Peninsula to try the baked goods at Charing Cross Produce, and sample a wider range of KI produce such as dairy products, beer and spirits at Kangaroo Island Source (Willoughby Rd, Penneshaw) and Penneshaw Farmers’ Market (first Sunday of the month). If you needed an excuse to stay at luxurious resort stay Southern Ocean Lodge, know that chef Tim Bourke uses fresh regional KI produce wherever possible. Check out one of his recipes on page 28. 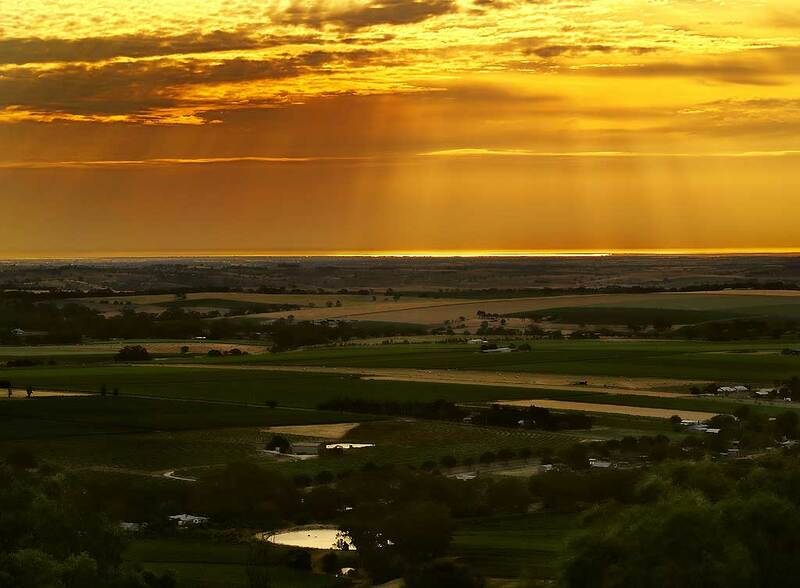 Often overshadowed by heavyweights the Barossa, Clare Valley and McLaren Vale, the Limestone Coast in SA’s south-east corner is a fine wine-producing region in its own right. 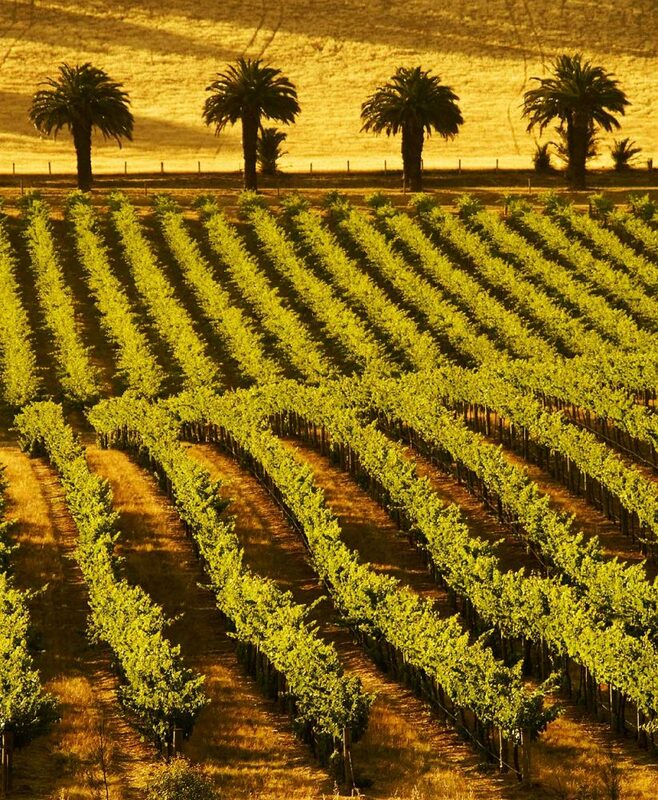 Although new to the scene (most vines were planted post 1980), Mt Gambier is becoming one to watch thanks to its rich volcanic soil. Haig Vineyard, in particular, is producing some great pinot noir (cnr Square Mile Rd and Lewis Ave). The Robe Ranges is also a spot to watch for wine, which will go delightfully well with the local seafood such as southern rock lobsters (in season October to May). Many small producers have set up shop on the Limestone Coast, too, with pasture-fed beef and lamb, and game such as duck, venison, kangaroo and emu produced here. Try local strawberries when in season at the Limestone Coast Food Group Farmers’ Markets, held every Sunday from 10am to 1pm in various venues including Robe, Penola and Kingston. Go to the website (below) for the current market calendar. You can also download a copy of the Real Food Trail map here, which features restaurants, bars, farms, grocers and cellar doors. Must-visit farm gates include Limestone Coast Trout (Lossie Rd, Millicent), Outback Pride (an Australian native food producer) and Burrandies Aboriginal Corporation (White Ave, Mt Gambier), which cultivates traditional herbs as well as native foods such as Tasmanian native mountain pepper and muntries (native cranberries). This exclusive seven-day air safari is the ultimate guided gastronomic tour, and takes in the best South Australia has to offer. You fly from Adelaide to Kangaroo Island, Port Lincoln and Gawler, staying at luxury hotels such as The Louise. Along the way you’ll swim with southern blue-fin tuna at Boston Bay, eat fresh-shucked oysters at Coffin Bay, tour farmers’ markets, and enjoy superb wine-matched meals. Priced from $9995 per person. Established in 1999, this family-owned and -run cheese factory was founded by goat farmers Trevor and Estelle Dunford, who decided cheesemaking was a great way to use the leftover milk. A 30-minute drive from Adelaide’s CBD, Udder Delights is located in the main street of Hahndorf, Australia’s oldest surviving German settlement. Cheesemaking classes coach participants in creating a selection of cream cheese, feta, camembert and quark (which is similar to cottage cheese). The course lets you walk away with the cheeses you’ve made and includes lunch, wine and family recipes you can re-create at home. The Easy Cheesey class costs $180 per person. The Retreat at Chapel Hill winery comprises just 10 guest rooms, so an intimate experience is guaranteed. Guests are spoiled with views across the vineyard to the sea. The kitchen here has been custom designed as a teaching area, catering for up to 35 people in a demonstration class and 14 in a hands-on cooking session. The courses are taught by Rebecca Stubbs, South Australia’s 2008 Lexus Young Chef of the Year. Having cooked with Luke Mangan at his Salt restaurant in Tokyo and world-renowned Thai food expert David Thompson, Rebecca will have you perfectly rolling sushi, frying dumplings and slicing sashimi. Cooking classes are $170 per person and rooms start at $140 per night twin share. Fresh, seasonal and regional food from South Australian producers such as vegetable growers, dairy farmers, orchardists, livestock producers, cheesemakers and bakers. The details: Sunday, 9am-1pm. Leader St, Goodwood. A food-only market focusing on regional, fresh and seasonal produce such as green and field vegetables, herbs, fruit, nuts and seeds. The details: Each Saturday. 23 Mann St, Mount Barker.